It wasn’t until Haida Gwaii that we let the FEAST camp-stove flex its propane muscles. Our waterfront campsite at Hayden Point couldn’t have been a nicer place to setup a kitchen, and we were thrilled to discover sea asparagus growing just a short walk from our site, down towards the water. Until our visits to Spring Island and Haida Gwaii, Dana and I had only ever seen sea asparagus at the farmers market in Vancouver, foraged by locals and sold at a premium. It was amazing to finally see it in person, growing in lush, grassy carpets along the shoreline. It’s crisp in texture, with a bold, briny taste, and can be eaten raw, pickled, or sauteed. 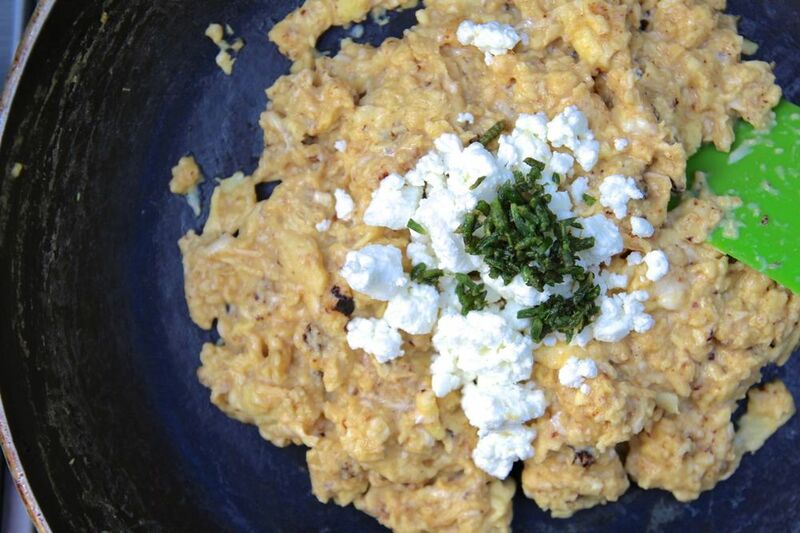 We picked some on our first morning, fried it in butter, and used it to top our breakfast of scrambled eggs and goat cheese. 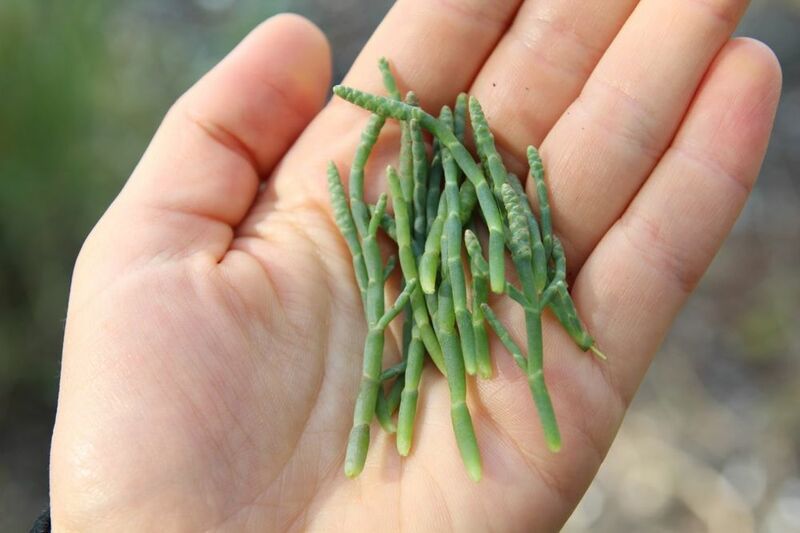 Here’s a great article about these salty little spindles, as well as a lovely recipe for sea asparagus and heirloom tomato salad by Vancouver’s Melody (Gourmet) Fury. Our campsite was also surrounded by huckleberry bushes, and we picked cupfuls the next morning to add to our oatmeal. $5/night to camp and all this free food? 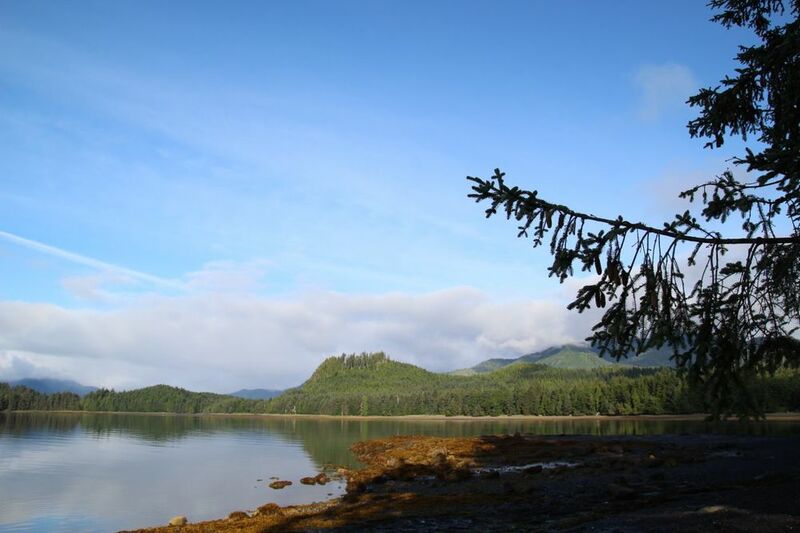 Two easy reasons to fall in love with Haida Gwaii.